Huge potential exists to increase sales and profitability. Low, flexible staff number – only nine long term employees. Not only MUST your customers buy these products, but this booming business has a GENIUS system to guarantee customers will keep buying ONLY from YOU! When you witness this GENIUS system in action you will pinch yourself! But this is NOT A DREAM. With self-propelled stellar growth this business already boasts almost $5 Million in sales and still has truly VAST untapped potential, not only Locally, but Nationally and GLOBALLY! How fast can it grow? 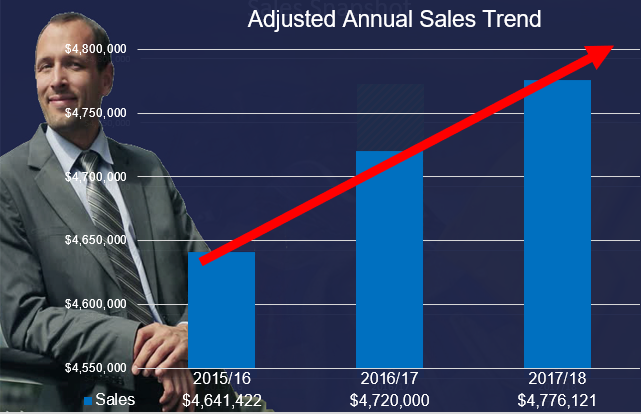 During the WA mining boom self-propelled sales almost doubled every year, and now the biggest boom in the HISTORY of this sector is just around the corner. With so much local, national and global untapped growth potential, add just a tiny bit of entrepreneurial flair and you could BLOW THE TOP right through the roof! It’s an opportunity straight from heaven. You will never find another business for sale that uses technology in this way. It's unique. Customers save HUGE amounts of money just by buying from you, and even when your products have a higher margin than your competitors! It’s all done without sacrificing a SINGLE POINT OF YOUR MARGIN. Your customers become LOCKED-IN with the savings, and are thereafter largely maintenance free, so they just continue munching away on your products, while squirting all that lovely money straight your bank account. Just 9 cross-trained long-term staff literally run this business and highly systematized documented processes ensure new staff can slot straight in. If you buy as an owner-manager you will be enjoying your days in an executive corner office drenched in sunshine, watching FRESH CASH flood into your bank account EVERY SINGLE DAY. You can GROW this business yourself, or you can put it under management, sit back, and let it buy itself. See the report for more details. For anybody wanting quantum growth, this business is perfectly positioned for local, national and global expansion. Become the success story, all the ingredients are here in this business, at your fingertips. With a little bit of entrepreneurial flair, this business can continue to rocket from this superb foundation, with its turbo charged growth ability taking you all the way to the top of the GLOBAL LEADER BOARD. THIS BUSINESS HAS UNBEATABLE FEATURES…. A slick modern facility perfectly located near its suppliers, with an outstanding street presence, and an opulent upstairs generously windowed executive suite with spacious boardroom and large management offices let corporate customers know they are dealing with the top dog in this sector which means that you instantly enjoy this top status backdrop. All the work has been done for you! The owner has carefully systematized and streamlined every process, so the business literally runs itself, and this means when you take over, from day one, the business will be working like clockwork bringing in the cash for you! Not only that, the business is ISO accredited, so all the systems are documented and audit-able and any new people you bring will just slot in smoothly, like a hand in a glove. Even your dud mate could manage it! This business is run by just 9, full-time, cross trained, self-managed staff! This owner has retained and skilled up only the best staff over 20 vibrant years, so you inherit a hardworking, highly motivated effective team of winners, with embedded ongoing training systems that ensure the entire team is on-the-ball and up to date with current business needs all the time. No extra expertise on your part is required! Perfect working hours of just 5 days per week, and you won’t even need to be there! The current owner also managers the business and he has plenty time to pursue his own passions during the working week. With this business you not only WIN the lucrative daily cash flow, but you also WIN time to enjoy it. Win the time to enjoy the money! This brand is very well-known and respected, because it has been around for as long as most people can remember! This brand is the GO-TO provider in its sector. The business has been very tightly held, having been briefly on the market only ONCE BEFORE in its entire 32 year history! That was when the current owner purchased it over 20 years ago. With a business like this that so tightly held just seeing it on the market is a once in decades opportunity. Your lucky moment is now to grab this high status business before it disappears again…forever! With over Two Hundred industry majors as loyal clients, broadly distributed across more than a dozen market sectors, this business has rare cross-sector diversification, which means you have Iron clad insurance for the business cycle. This is the best certainty you can get for security of forward sales under ALL economic conditions! And best of all, no experience whatsoever is required to operate this business. No matter what your background or experience, you can buy this business and enjoy the fantastic rewards and opportunities. In fact you don’t need to buy the business, it buys itself! Get the full report for details. …AND THE SURF IS UP! The opportunity is right here right now. A huge SURGE of fresh new sales is has been recorded in just the first two months of this financial year. Note the asking price is based on the old 17/18 year! The new boom is hitting like a TSUNAMI. 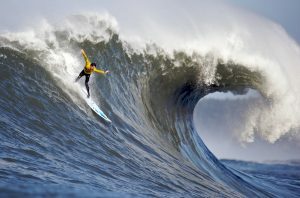 Best of all this business is flexible and scale-able, so it can ride the biggest of waves like a PRO, and you will reap all the rewards. This is a highly lucrative business that is firmly embedded like a cash creating cornerstone in an fast-growing market and it requires very little effort to manage: This business is a rare opportunity to secure a success story which has absolutely EVERYTHING right. If you are looking for an easy to manage Perth Metro based business with almost RISK FREE cash flows, a CLASSY executive suite and huge GROWTH potential, with LOCKED IN CUSTOMERS buying LEGALLY MANDATED PRODUCTS, then this business is for you!